GlobeCore GmbH is a leading manufacturer offuel oil purifier. Our units are designed for used oil regeneration, oil purification, oil degassing, oil filtration, oil restoration. The main rule – liquids should be hydrocarbon origin. No engine oil and no motor oil, all oils with synthetic additives cannot be purified by this equipment. This list is still incomplete. You can check the possibility to clean your sample of oil, we offer you to make a reclamation test before buying. Reclamation/regeneration of used mineral oil help to prevent pollution of environment. GlobeCore’s UVR units allow delete unpleasant odour, mercaptans, sulphuretted hydrogen and sulphur. In the time of modern energy’s crisis oil regeneration becomes more and more popular and required by governments and community. Used oil recycling becomes the question number one for save an environment. Besides that approach allows increasing the general effectiveness of production and reducing expenses for buying new resources. Waste oils recycling (such as transformer oil, gear oil, industrial oil, turbine oil, vacuum oil, compressor oil, hydraulic oil, heating oil, diesel oil and other types of mineral oil) can be made by using special equipment. GlobeCore GmbH is the one of the leading manufacturer of used oil regeneration machines on the world market. Successful experience in implementation of Oil Regeneration Plants in more than 70 counties on the world allows confirm that Oil Regeneration and Oil Restoration are fully justified. In general oil regeneration process can be defined as separation and removing of different contaminations and impurities which were accumulated on service and which are the result of aging processes. As an impurities can be indicated tarry substance, carbon laydown, depositions, sediments etc. The simplest ways of used oils purification are filtration, sedimentation and centrifugation. Pre-treatment includes removal of water and solid components. After preparatory treatment work material incurs vaporization and distillation. Filtration is the next step. Filtration allows purify the oil from contaminants by means of special membranes. Oil purification degree depends from the requirements. If these requirements are not very stringent filtration can be the last step. Otherwise special chemical agent should be used. Chemical agents allow obtaining deepest degree of purification. Until recently, waste oil collected in containers, and then stored or transported by special equipment to enterprises engaged in the processing of petroleum products. But this approach isn’t rational. You need to spend your usable area and your money for transportation, for salary of servitorial staff. Also you need sort used oils and ensure that they didn’t mix because then regeneration may become impossible. The company GlobeCore offers a unique solution: regeneration of waste oil on-site operation. 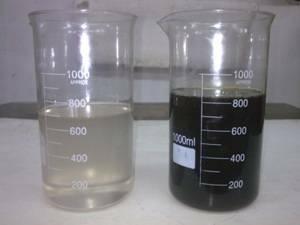 Benefits from the waste oil restoration are obvious: you have rational utilization of the wastes and decrease environmental stress.